Editor’s Note: Earlier this month, we lost a dear member of our school community. Billie Fahrner was a Clonlara School parent, staff member, and board member. She is remembered and celebrated here by Founder Pat Montgomery, her colleague and friend. I met Billie Fahrner in 1965 when I taught her brother Michael in a local elementary school. Billie, then 19 years old, attended the Parent-Teacher Conference with her mother. In all my years of teaching I never had a young woman accompany her mother to confer about a younger sibling. That was my first clue about how supportive and devoted Billie was. I had no idea then how our lives would intersect over future years. Just three years later Billie enrolled her daughter Cyndi in Clonlara School, and our families became fast friends; later, her daughter Heather was old enough to attend as well. Billie dove right into being part of the school in every possible way. She was active in the Parent/Student/Staff Meetings and other activities, especially in fundraising ventures. 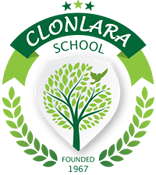 No task was beyond her skill and interest level, and despite the fact that she was a full-time parent and bookkeeper/office manager for a local business, she took the time to lend helping hands to Clonlara operations—this, even when her children moved on to other schools. In 1992 she accepted the position of Clonlara’s office manager/bookkeeper/benevolent curmudgeon. It was Billie’s expertise that maneuvered Clonlara through the complicated process of erecting a building to house all of our various programs under one sturdy roof. She was a steady, sure presence in the lives of office staff members, teachers, parents and children, and to an even greater extent in monitoring and guiding me. She attended to all the minutiae of my traveling to court appearances in numerous states, to homeschool conference presentations all over the United States, Europe, and Japan. Upon her retirement in 2004, Billie remained a member of our Board of Trustees. These things paint a broad picture of what Billie did. As wide-ranging and key to Clonlara’s growth and development as they are, they pale in comparison of who Billie was: a sharing, sensible, competent, efficient, tireless, humorous, soulful woman. She listened. She reached out. She gave of herself without expecting return. She wore magnanimity like a second skin.